Disney Cruise Line will sail on new itineraries and to seven new ports in Europe, including a first-ever round-trip cruise from Rome and first-time visits to destinations in Sweden, France, Spain, Denmark and Northern Ireland, in summer 2019. Disney Cruise Line also has sailings to Alaska, the Caribbean and the Bahamas, plus new cruise lengths aboard Disney Fantasy. Bookings open to the public on March 8. More details on 2019 itineraries can be found on the Ports and Itineraries for 2019 page at disneycruise.com. For the first time, Disney Cruise Line guests can experience the history of Rome as a bookend experience in a single cruise. On June 14, 2019, Disney Magic will sail an eight-night cruise from Civitavecchia (Rome). Ports of call include Salerno (Positano, Amalfi, Pompeii) and La Spezia (Florence, Pisa), Italy; Villefranche (Monte Carlo, Cannes, Nice) and Marseilles, France; and Barcelona, Spain. Belfast is a new destination on a seven-night British Isles cruise departing from Dover, England, near London, on Sept. 8, 2019. In 2019 Disney Wonder will return to Alaska for the summer season. A variety of five-, seven- and nine-night itineraries will depart from Vancouver with stops in Juneau, Skagway, Ketchikan, Sitka, Icy Strait Point, Hubbard Glacier and Tracy Arm Fjord, Alaska, plus Victoria. In addition to seven-night eastern and western Caribbean cruises from Port Canaveral, Disney Fantasy will embark on a variety of special itineraries to the Caribbean and Bahamas throughout the summer of 2019. All cruises aboard the Disney Fantasy in the summer of 2019 include a stop at Castaway Cay. In 2019 Disney Dream will sail a series of cruises that include two stops at Castaway Cay. On June 19, July 3 and July 17, 2019, Disney Dream will sail from Port Canaveral on four-night Bahamian cruises to Nassau, plus two stops at Castaway Cay. 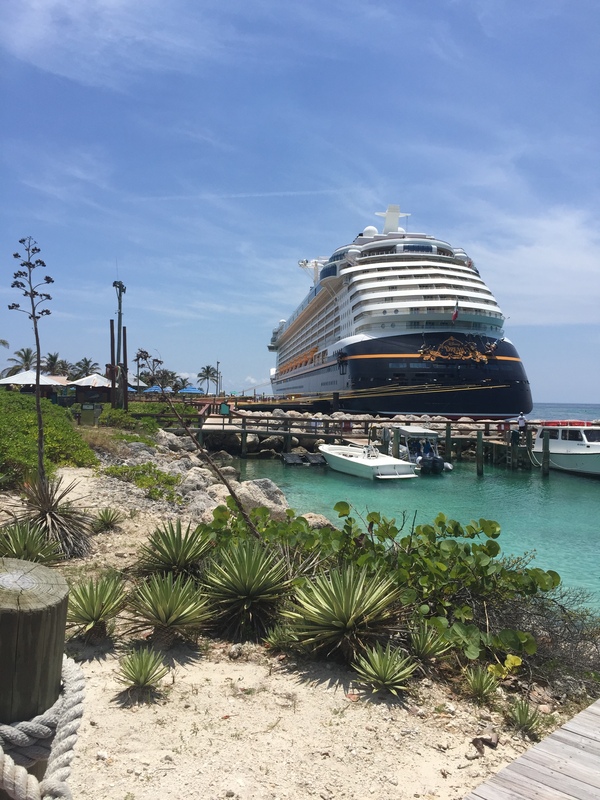 On June 14, June 23, June 28, July 7, July 12 and July 21, 2019, Disney Dream will sail from Port Canaveral on five-night Bahamian cruises to Nassau, plus two stops at Castaway Cay. New in 2019, Adventures by Disney will offer pre-cruise guided experiences in Rome and Vancouver. Families can also enhance select European sailings with an Adventures by Disney package during the cruise. These Adventures by Disney offerings open for booking beginning March 8, 2018, with the exception of the Vancouver Short Escape, which will open for booking later this year. WANT TO SEE THE MAGIC IN ACTION? Follow along March 18-23, 2018 as I sail aboard the Disney Magic from Miami to Cozumel and Castaway Cay! I will be live on Facebook, filling my instagram feed and sending info to all of you! This cruise includes a Marvel Day at Sea!!! This entry was posted in Disney Cruise Line and tagged Alaska, Castaway Cay, Disney Cruise Line, Summer 2019. Bookmark the permalink.